Space is a contested environment, and the United States must deploy new tools, new capabilities and the right leadership to ensure dominance in that environment , Deputy Defense Secretary Patrick M. Shanahan said recently. 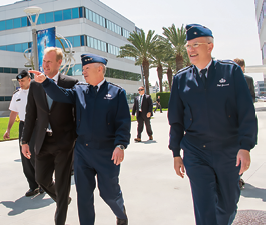 The deputy secretary spoke August 27 to airmen, civilians and contractors at Los Angeles Air Force Base’s Space and Missile Systems Center in El Segundo, California. The SMC, a subordinate unit of Air Force Space Command, is the center of technical excellence for developing, acquiring, fielding and sustaining military space systems. “We’ve got a president who says space is no longer a sanctuary,” he added. “We need to defend our economy. We need to put in place the authorities and the capabilities [in space] to protect our way of life — period. The first law of transformation is, do no harm. Our missions are too important. That doesn’t mean we don’t take calculated risks or we don’t move quickly,” he said. “But, from the Pentagon’s standpoint we’re not going to do harm, and that’s why I wanted to come out here and spend some time with you,” the deputy secretary added. During the course of the next year, a lot of changes will take place in terms of technology, roles and responsibilities, he said. 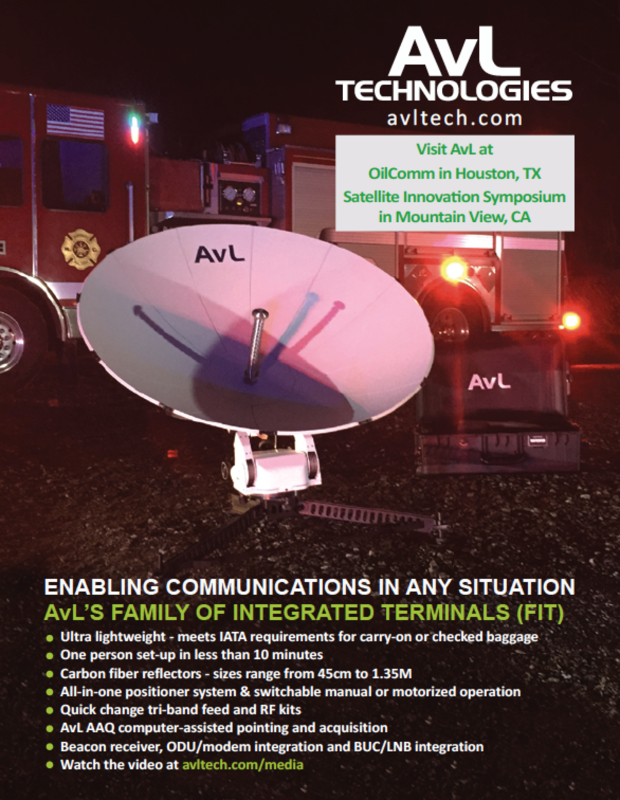 “If we don’t choose the right technical solution, we lose. This... is about physics. It’s about capability. And when you pick the wrong product, no matter how talented the team or how many resources there are, you lose,” Shanahan said. “This is about development and programmatics. Acquisition is a huge enabler, but getting the product right is, in my mind, the most important thing we can do,” he added. Organizations should be centered around the capability DoD wants to deploy and the resources it needs to deploy them, the deputy secretary noted. “If you want to know what I think about the Space Force [it’s this]: How do we deliver warfighting capability more quickly?” Shanahan said. Other key priorities, he said, are how to give the Missile Defense Agency more capability to do “birth-to-death tracking” of ballistic missiles and other cold objects in space, and how to operate in a GPS-denied environment. Command and control at the DoD level will set the foundation to do what’s important, Shanahan said. “And whether we say it is the legacy of the SMC or the department, but you know the capability emerging to do persistent surveillance of the globe, the amount of data that we’ll be able to collect and parse that in the decision tools to aid the war fighter, that’ll create a time constant that is going to be, you know, unbeatable,” he added. DoD will create the environment and infrastructure to provide data to the warfighter, Shanahan said. The U.S. Air Force’s Space and Missile Systems Center (SMC) Global Positioning Systems (GPS) Directorate achieved a major program milestone on August. 21, successfully delivering the first GPS III satellite to Cape Canaveral Air Force Station, Florida to begin launch processing. The satellite, dubbed “Vespucci” in honor of Amerigo Vespucci, the Italian explorer for whom the Americas were named, was transported in a custom container from the Lockheed Martin factory facility in Waterton, Colorado to the Space Coast Regional Airport in Titusville, Florida, by a C-17 Globemaster III originating from Joint Base Lewis-McChord, Washington. The delivery of Satellite Vehicle 01 (SV01) starts the clock for final testing and checkout of the space vehicle prior to launch. The satellite will be processed at the Astrotech Space Operations Florida facility. 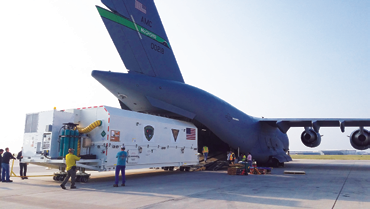 A government and contractor team will ensure the integrity of the satellite after shipment by performing a Mission Readiness Test to verify the health and safety of the vehicle, as well as communication compatibility with the ground operations center. The team will then prepare for propellant loading and encapsulate the satellite in its protective fairing. At the completion of these activities, the satellite will be headed for a first of its kind horizontal integration with the SpaceX Falcon 9 launch vehicle. 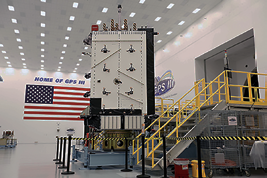 The modernized GPS III SV01 is slated to launch in December and will augment the current constellation of 31 operational GPS satellites. The U.S. Navy has announced that U.S. Strategic Command has approved the service’s next-generation, narrowband satellite communication system for expanded operational use, this according to a news report in the AFCEA’s online Signal Magazine infopage. The news article, written by George I. Seffers, the publication’s Technology Editor, reveals that this authorization paves the way for U.S. Navy and U.S. Marine Corps “early-adopter” commands to use the system on deployment as early as this fall, primarily in the Pacific theater, according to the written announcement. 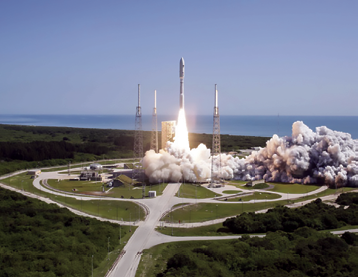 The Navy’s on orbit, five-satellite constellation — the Mobile User Objective System (MUOS) — began providing legacy satellite communications shortly after the system’s first satellite launch in 2012. Each MUOS satellite has dual capability. 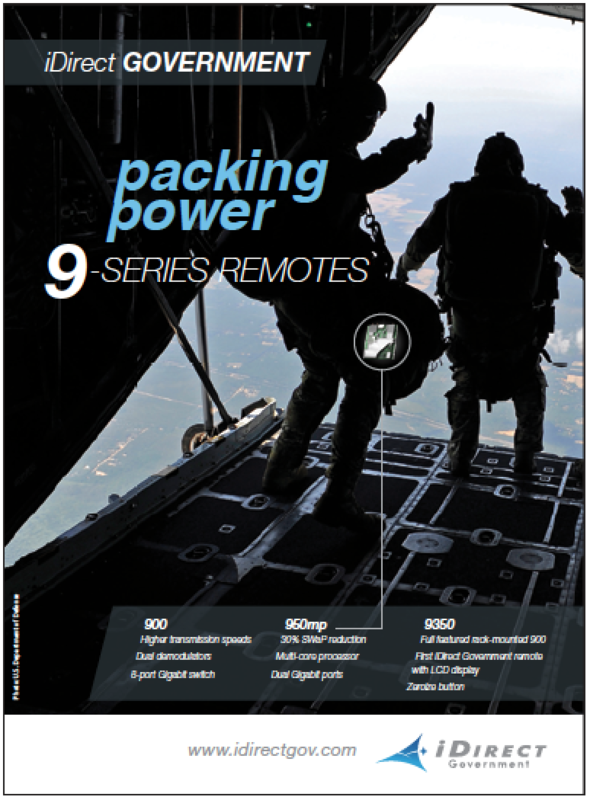 The legacy satellite communications payload was designed to maintain legacy narrowband communications for the Defense Department while the advanced MUOS capability came online. The full-suite MUOS payload, known as Wideband Code Division Multiple Access (WCDMA) waveform, adapts commercial cellular technology to allow warfighters to communicate beyond-line-of-sight, more securely and reliably than before, and with 10 times the capacity compared to the legacy capability, the announcement states. Complex 41 aboard a United Launch Alliance Atlas 5 rocket in the 551 launch vehicle configuration. With the MUOS constellation on orbit, the ground and network management system operational, and the WCDMA waveform available for end-user radios, operators today with MUOS WCDMA radios are connecting beyond line-of-sight around the globe, transmitting simultaneous voice, video and mission data on an Internet Protocol-based system that connects to military networks. MUOS-enabled radio population continues to be the limiting factor for greater MUOS WCDMA use. The system could be declared fully operational following Multi-Service Test and Evaluation next summer. 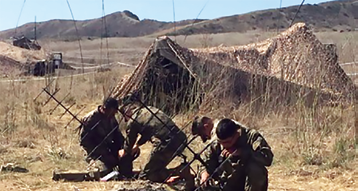 The U.S. said it would be the first service to widely deploy MUOS, largely due to its investment in MUOS-portable radios over the past six years. The USMC is slated to begin initial MUOS fielding in the fourth quarter of 2018, followed by initial operational capability in the first quarter of 2019. The U.S. Coast Guard (USCG) will celebrated their 228th birthday on August. 4. This unique, uniformed service operates under the Department of Homeland Security during peacetime and can be transferred to the Department of the Navy by the U.S. President at any time, or by Congress during times of war. Although the Coast Guard is not a Department of Defense (DoD) agency, it does rely on DISA-provided services and capabilities to accomplish its many missions at home and abroad, including protecting shipping and trade, search and rescue, installing and maintaining aids to navigation, combating drug smugglers, and marine environmental protection. 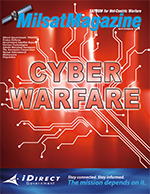 Coast Guard Commander, Harold “Lars” McCarter, director of the Network Operations and Security Center at Coast Guard Cyber Command, said the force uses DISN services across all operational mission areas, just like the Army, Marine Corps, Navy, and Air Force. He specifically named a number DISA-provided security services the Coast Guard uses. The Coast Guard also uses Defense Collaboration Services (DCS), DISA’s real-time collaboration tool suite, in classified and unclassified environments, and Defense Enterprise Email on the SIPRNet, McCarter said. Although the Coast Guard has been performing missions alongside the other services during every war since the nation was founded, a large portion of their communication today is done with people outside of the DOD. “Unlike many of DISA’s mission partners, the Coast Guard interfaces significantly with a range of civilian customers,” said McCarter. “Web services, such as Homeport, which operates within the DODIN, allow the Coast Guard to provide services to the civilian sector. McCarter said the Coast Guard can operate on the DODIN with confidence, knowing DISA is diligent about defending the network and ensuring high availability of services. Another example he gave was DISA’s aid to the Coast Guard’s mission of facilitating the secure arrival and departure of cargo in and out of the country. When ships need to come in to port, they have to send passenger manifests and cargo manifests to the Coast Guard. In a video posted by DefenseNews.com, retired Admiral Charles Michel, former Vice Commandant of the Coast Guard, explained the unique nature of the Coast Guard’s information technology infrastructure. “We operate on the DODIN but we’re also a law enforcement agency, a member of the Department of Homeland Security, and a member of the intelligence community,” he said. DISA understands the Coast Guard’s unique role in the defense of our nation, and stands ready to assist, said Ted Lewis, deputy chief of the agency’s Mission Partner Engagement Office. What are Joint Regional Stacks? DISA stipulates that Joint Regional Security Stacks provide increased network visibility, shared data, and a stronger defense. The importance and complexities of enabling seamless data sharing through the Joint Regional Security Stack (JRSS) platform was the subject of discussion among expand experts from DISA and Joint Forces Headquarters - Department of Defense Information Network (JFHQ- DODIN) during an earlier Armed Forces Communications and Electronics Association’s Defensive Cyber Operations Symposium in Baltimore, Maryland. The JRSS platform is a DoD-wide initiative to enable military services, combatant commands, and defense agencies to see more network activity, defend networks more efficiently, and share information seamlessly within their own organizations and with DoD mission partners. “JRSS will deliver to the greater DOD community the ability to act uniformly with predictable outcomes through a centralized, standardized, and modernized infrastructure,” said Army Colonel Greg Griffin, JRSS Program Manager. The typical unclassified “stack” is comprised of 20 equipment racks that manage and defend traffic flows; perform firewall functions, intrusion detection and prevention, enterprise management, and virtual routing and forwarding; and enable the ingest of large sets of data, and provide the platforms to process that data and the mechanisms to help cyber operators analyze the data. Fourteen unclassified Joint Regional Security Stacks are currently operational, and 20 will protect the DOD unclassified network by the end of fiscal year 2019: 11 are in the continental United States, two in Europe, two in the U.S. Central Command area of responsibility (AOR), and five in the U.S. Pacific Command AOR. The classified set of networks will require 25 stacks. Griffin said in the not-too-distant-future, a JRSS platform fielded with standardized suites of equipment, complete with defined syntaxes and procedures, will enable the military services, combatant commands, and agencies to share tips and cues from within a common platform without having to recreate or reformat data for different devices. DISA assembled a JRSS Defensive Cyber Operations working group to build toward that future. The group is made up of members from various JRSS stakeholder organizations charged with defining the tactics, techniques and procedures that govern JRSS best practices, to include information sharing between organizations. “The big thing for us is accessibility for everybody... not keeping (data) stove-piped... which is what we have now,” said Army Colonel Darlene Straub, Chief of DISA’s Defensive Cyber Operations (DCO) Division and chair of the JRSS DCO working group. Straub’s team works closely with the DISA Global Operations Command (DISA Global), which is responsible for operating and maintaining JRSS. The DISA Global commander, Army Colonel Lisa Whittaker, also emphasized the value of looking across organizational boundaries to understand network operations. “I’m looking forward to JRSS stabilization, followed by data consolidation, so that we can start looking at the analytics to more rapidly identify nefarious behavior and counter it,” she said. According to the 2015 DoD Cyber Strategy, building an architecture that transcends individual branches will enable a robust network defense and shift focus from protecting service-specific networks and systems to securing the DoD enterprise in a unified manner. As DISA works to procure and deliver the remaining systems and define TTPs for leveraging the capability, JFHQ DODIN is defining procedures for a JRSS Operational Board (JOB) it stood up less than two months ago. JOB’s role is to provide consistency, guidance and direction for establishing a sound foundational basis across JRSS mission partners, Cochran said. This promises to be very useful as the DCO working group and DISA Global offer up best practices based on input from across the military services and from lessons learned from day-to-day operations. SOS International LLC (SOSi), a mid-tier government services integrator working principally in the defense and intelligence market sectors, is the sole awardee of a $55 million contract. This award is to provide technical support to the Wideband Enterprise Satellite Systems (WESS) managed by the U.S. Army’s Program Executive Office — Enterprise Information Systems (PEO-EIS). SOSi will support Product Manager WESS Data Communications Network customers worldwide in providing secure and non-secure voice, data and video services and all phases of SATCOM management, engineering, installation, integration, operation, maintenance, and lifecycle support. Julian Setian, SOSi President and CEO, said that this award demonstrates the synergies the company anticipated from their recent acquisition of STG. He added that by serving the SATCOM needs of the nation’s military under this contract, SOSi is effectively expanding the company’s global footprint in support of U.S. Army, U.S. Air Force, and Joint operations, leveraging the firm’s decades of experience in managing complex network operations and security.